“Theoretical biology” is a surprisingly heterogeneous field, partly because it encompasses “doing theory” across disciplines as diverse as molecular biology, systematics, ecology, and evolutionary biology. Moreover, it is done in a stunning variety of different ways, using anything from formal analytical models to computer simulations, from graphic representations to verbal arguments. In this essay I survey a number of aspects of what it means to do theoretical biology, and how they compare with the allegedly much more restricted sense of theory in the physical sciences. 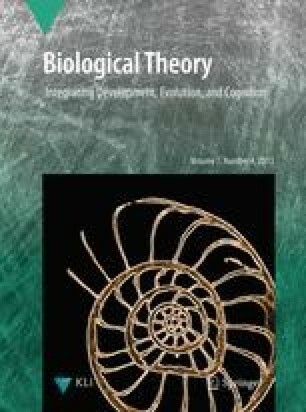 I also tackle a recent trend toward the presentation of all-encompassing theories in the biological sciences, from general theories of ecology to a recent attempt to provide a conceptual framework for the entire set of biological disciplines. Finally, I discuss the roles played by philosophers of science in criticizing and shaping biological theorizing.